All of my Li’L Aussie Toy & Mini babies are socialized with other dogs and people with much love and attention daily in my home. 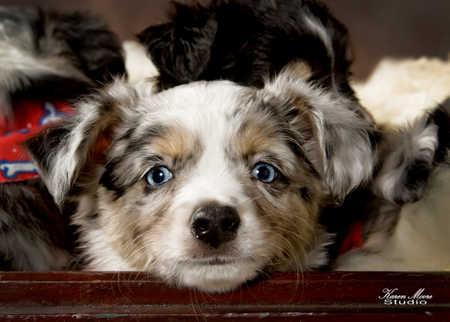 A deposit will hold the puppy of your choice until it is ready to go to its forever home. Additional pictures sent upon request and if within driving distance, I will meet half-way to deliver at no extra cost. I do not ship my puppies via airlines or any other means; however, I will meet a customer at a local airline terminal to deliver a puppy.